The vision vivi nova wicks coil head is an important part of your clearomizer. This is the part that the atomizer heats up to give you the fantastic vapor you crave. The vision ViVi Nova 2 clearomizer is no exception. 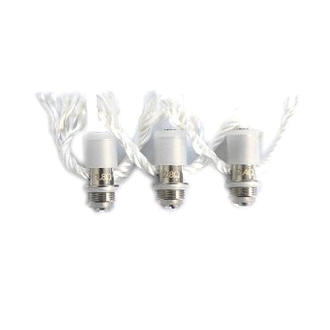 These wicks coil heads will not only ensure optimum performance, but will also save you money since you no longer need to replace the entire vivi nova clearomizer when your wicks coil heads burn out.